Jerusalem - Israeli Prime Minister Binyamin Netanyahu and his wife, Sara, paid a condolence call Sunday evening to the family of Ori Ansbacher, the Israeli teenager who was found murdered in a Jerusalem forest last week. 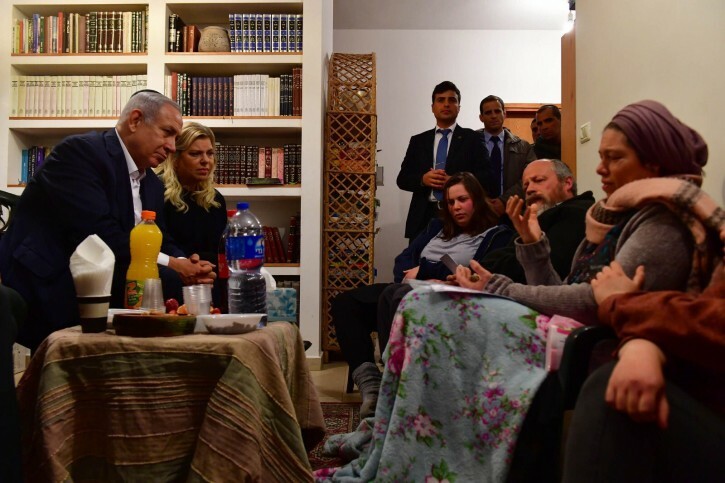 Netanyahu and his wife visited the Ansbacher family at their home in Tekoa, where Rabbi Gadi Ansbacher, his wife Noa, and their four surviving children areobserving the traditional ‘shiva’ period of mourning. Ansbacher, a 19-year-old national service volunteer from the town of Tekoa, was found last Thursday night in the Ein Yael forest, after she had been declared missing that morning. Her remains were found naked, with multiple stab wounds to her upper torso.